From August 2016 to May 2017, I was given the opportunity to work as a freelance designer for Paragraph Inc., and through them the Pennsylvania Ballet. Paragraph Inc. is a branding agency located in Philadelphia, PA. It is Paragraph’s goal to not only create beautiful work for their large variety of clients, but also generate clear strategies and messages that carry the many notable organizations they work with toward success. As a freelance designer, a majority of the work I have done is production based. 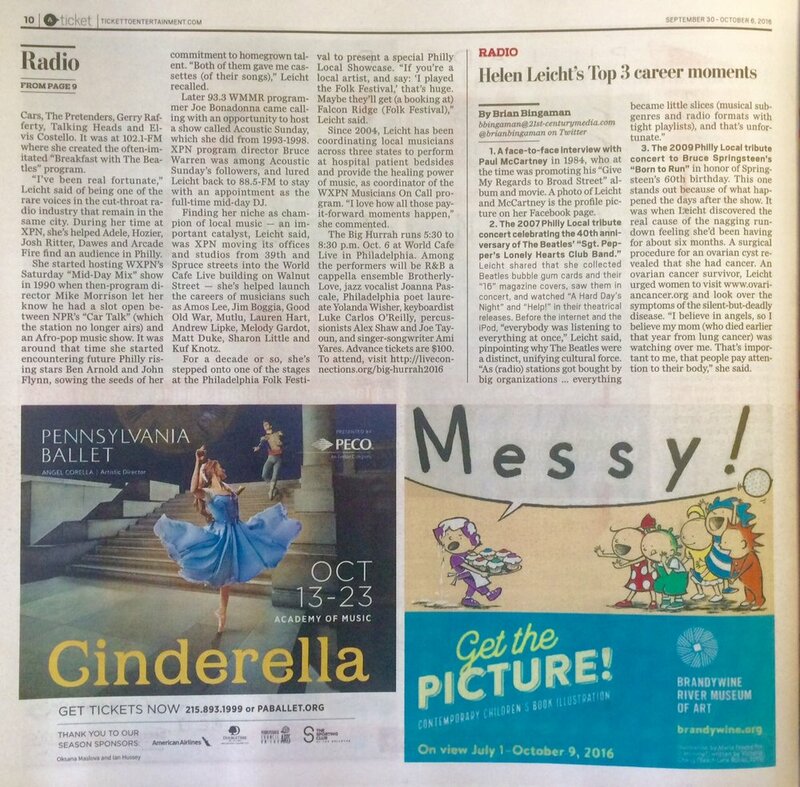 Pennsylvania Ballet is one of Paragraph’s clients. I have had the chance to work on everything from digital and print advertisements, logos, billboards, banners, posters, wearable merchandise, books, micro-sites, environmental design, copywriting, and more. As a production designer it is my responsibility to prepare files for a variety of print and digital platforms, adapting and tweaking the provided creative as necessary. Working at Paragraph has given me the opportunity to not only work with great clients like the ballet, but also the ability to experience many areas of design. Below are a few samples of work I have completed under the advisement and art direction of the Paragraph team, namely Art Director Maria DeFazio-Zeeb. This Dancers book, created for the Pennsylvania Ballet, gives viewers and lovers of the ballet a chance to learn about each of the dancer's backgrounds. From the principals, to the soloists, through all the members of the corps, and the apprentices, you are invited to read about each of the dancers. The biographies highlight the beginnings, achievements, and current standings of each. Below are a few samples from the 52 page book. "Experience the fast–paced action of Christopher Wheeldon’s Rush; the breathtaking agility and technique showcased in George Balanchine’s Tarantella, Tchaikovsky Pas de Deux, and the pas de deux from Rubies; and the latest groundbreaking World Premiere from Matthew Neenan"
"Experience the powerful beauty of Nacho Duato’s Remansos, the world premiere of Nicolo Fonte’s Ghost Stories, and the charming, high-spirited Western Symphony by George Balanchine." "With the small budget allocated for Romance, we tried to mirror the success from Revolution by utilizing a multi-channel approach and focusing on low-cost, high-return channels. The multi-channel approach allows us to reach many people on a variety of platforms with the ultimate goal of driving traffic to the website for purchases. We utilized advertising mediums that proved to be successful in the past. These mediums included local radio and print publications and direct mail cards. "This rollicking, lighthearted production is a feast for the eyes – with exuberant choreography, elaborate costumes, and impeccable set design – but its heart is a touching story about finding true love. Learn what happens when a swashbuckling pirate in search of treasure becomes enamored with a servant girl, sets her free, and seeks their happily ever after." "A different approach was taken for Le Corsaire, as we focused on reaching a larger audience and opening the pool to the New York area. We also utilized video to show the uniqueness of Le Corsaire and inspire ballet-goers. 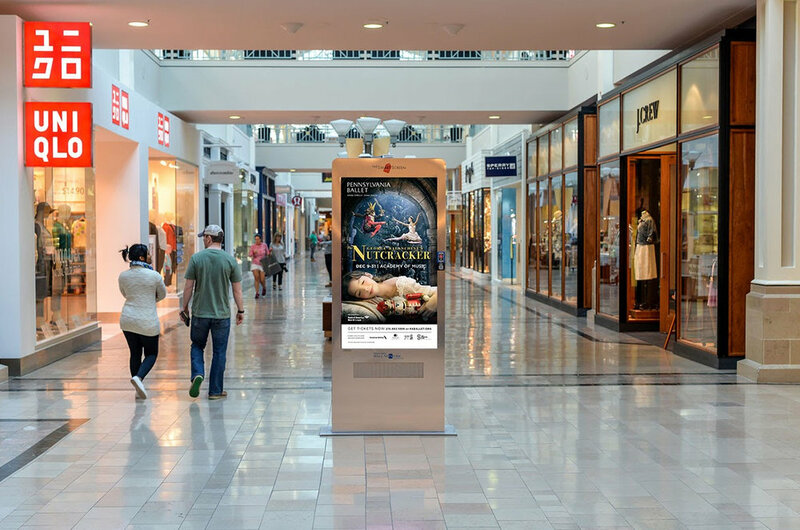 To reach the New York market, a portion of the budget was used to test the NYCLink Communication Boards, and we placed ads on 15 select boards in the theatre district of the city. Additionally, we opened the radius of digital ads to reach the New York market. For video, ads were placed on various platforms including Instagram, YouTube, Philly.com, and on Silverliner Rails. The video proved to be a success, as it had high user interaction on the various platforms. Digital advertising continued to provide high returns, delivering more than 2.3 million impressions with an average CTR of 0.96%. However, the high CTR of 5.34% on Philadelphia Search is positive, denoting ad relevancy. In total, 537 purchases were made digitally." "It simply wouldn't be the holidays in Philadelphia without the timeless tradition of George Balanchine's The Nutcracker. Be swept away to the magical Land of the Sweets as Tchaikovsky's iconic score pairs with lavish sets, opulent costumes, and the enchanting performances of the dancers. This classes tale touches the hearts of all with its endearing story of a girl, a gift, and a wondrous dream." "The 2016 showing of George Balanchine’s The Nutcracker® was the most successful production to date, generating more than $2.5 million in revenue. The multi-channel media plan accomplished the production’s goal by focusing on strategic ad placement in optimal areas with high concentrations of past and potential ticket buyers. This allowed the Ballet to engage with a larger audience that was more inclined to purchase tickets. The main purpose of the out-of-home placements was to build awareness, keeping the Ballet and The Nutcracker top of mind. In total, the out-of-home impression count exceeded 50 million. Additionally, two new out of home efforts were used, including Taxi Toppers and alternative billboard locations to gain more impressions and reach. Digital advertising played a significant role in sales. The digital ads, emails, and social post all attributed to the high revenue numbers. In total, 7,410 purchases were made online with 1,325 made on Cyber Monday alone. 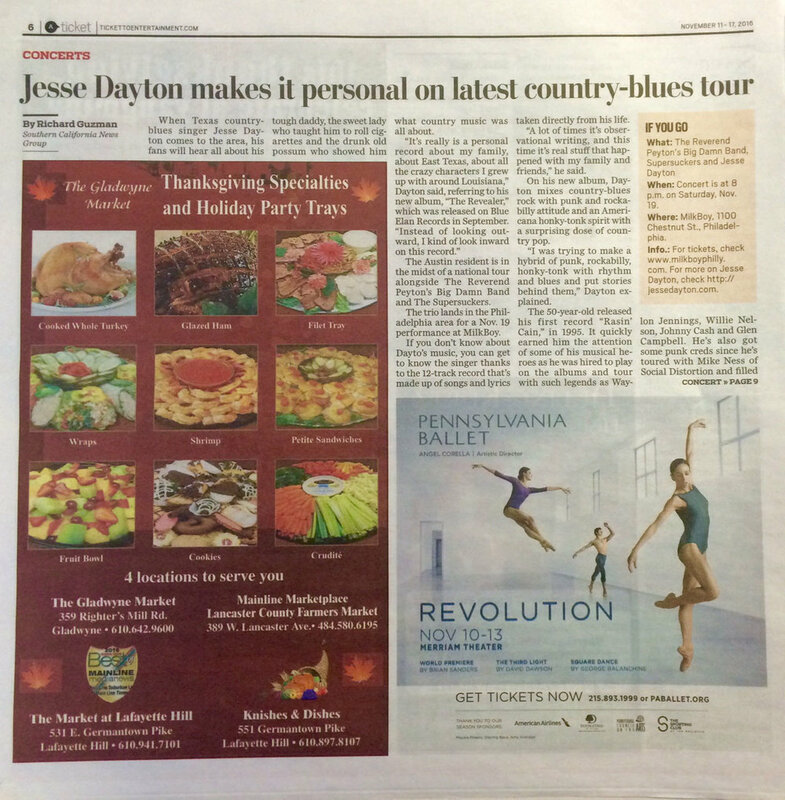 The success of the Cyber Monday promotion included promoting the performance with a new effort of a 10”x10” full color insert that ran in the Philadelphia Inquirer targeted to counties with past high ticket sales on Thanksgiving Day. Overall, the media reach was more than 100 million impressions, which resulted in a strong finish to 2016." 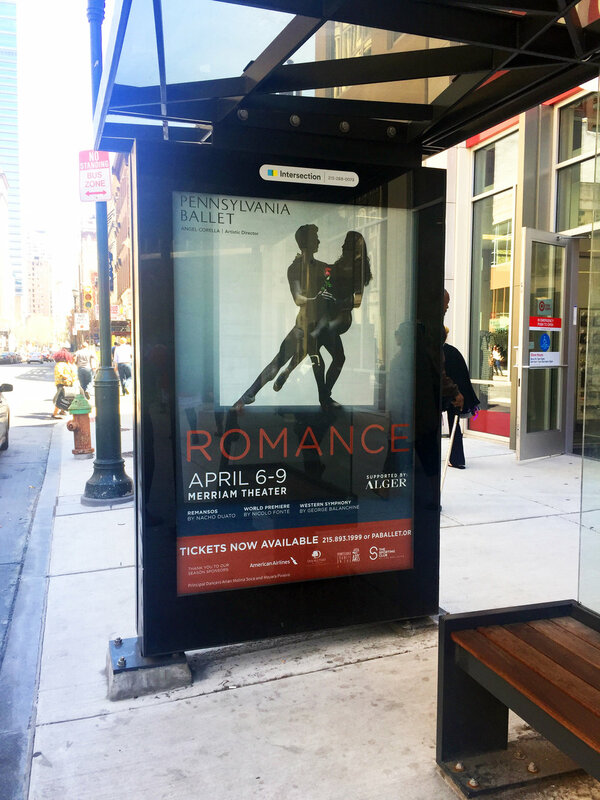 "Experience the beautiful classicism of George Balanchine’s Square Dance, the contemporary grace of The Third Light (Company Premiere) by renowned British choreographer David Dawson, and the avant-garde athleticism of a World Premiere from Philadelphia’s own Brian Sanders." "Fall in love again with one of the most enduring princess fairy tales of all time in this rags-to-riches story of a young girl whose strength of spirt helps her to overcome mistreatment by her wicked stepmother and stepsisters and ultimately with the heart of a handsome prince. the lavish combination of music and dance will enchant dance and theater lovers of all ages."